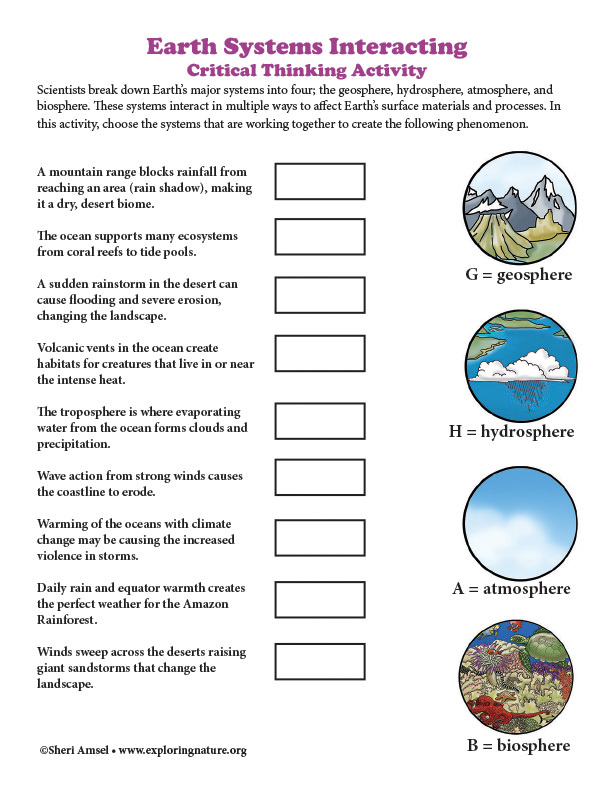 Scientists break down Earth’s major systems into four; the geosphere, hydrosphere, atmosphere, and biosphere. These systems interact in multiple ways to affect Earth’s surface materials and processes. In this activity, choose the systems that are working together to create the following phenomenon.